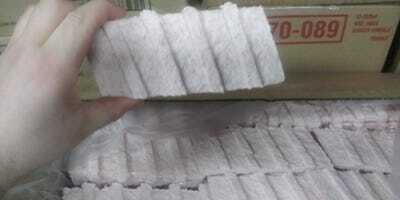 McDonald’s has released a new video detailing how its food suppliers make, freeze and cook the McRib sandwich. 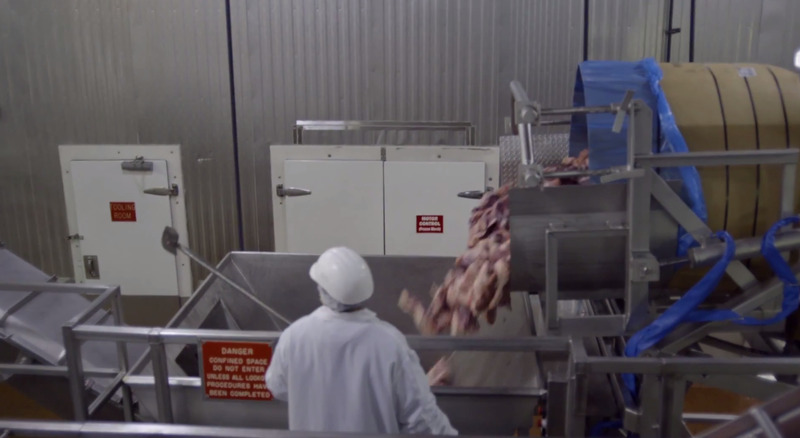 The video is part of a massive marketing campaign that McDonald’s launched in the US last month to shed light on its often-criticised food sourcing and processing practices. This particular video is in response to a photo of a frozen McRib patty that went viral on social media last year. The company invited high school teacher Wes Bellamy, who had tweeted about the photo, to take part in the video. “I’m a sceptic,” Bellamy announces at the beginning of the video. By the end, he is devouring a freshly cooked McRib, licking his fingers and asking for a second serving. 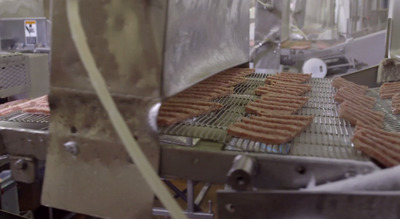 The video appears heavily scripted at times, but it still gives consumers a peek inside a McRib factory that we’ve never seen before. It begins by showing us the boneless pork shoulder that McDonald’s uses in the McRib. “There’s no bones, no gristle, it’s all meat,” former “Mythbusters” host Grant Imahara says in the video. The meat is then dumped into a vat where it is finely ground. 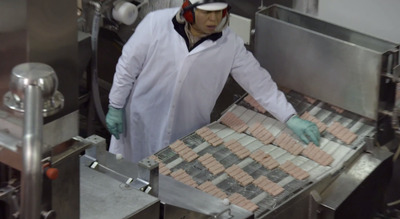 A worker adds salt, dextrose (a type of sugar) and preservatives to the ground meat. The preservatives include BHA, propyl gallata, and citric acid. The preservatives are used to “to lock in the flavour all the way to the restaurant,” according to the video. Here’s an aerial view of the factory. 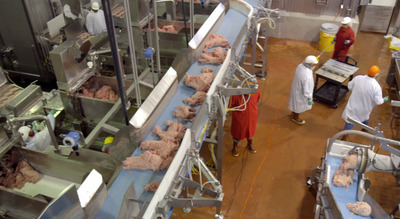 On the far right, the ground meat is dumped onto a conveyer belt. On the far left, the meat is formed into the familiar McRib shape. Here’s a closer look at the part of the factory where the McRib shapes are made. Workers inspect the meat to make sure all the shapes look the same. A mist of water is added to the meat to keep it from dehydrating when it’s flash frozen. Here’s what the meat looks like after it’s frozen. After being cooked, the meat is soaked in McDonald’s barbecue sauce in a warmer. The sauce contains tomato paste, onion powder, garlic powder chilli pepper, high fructose corn syrup, molasses, salt, sugar, distilled vinegar, xanthan gum, soybean oil, modified, food starch, caramel colour, beet powder, sodium benzoate, and water.